Reliable, semi-rugged general purpose tablet platforms protected against knocks and drops, as well as dust and water ingress. These platforms also provide vibration protection, making them suitable for vehicle or outdoor usage. 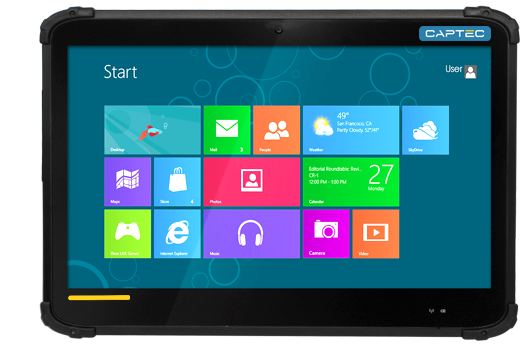 The SRT-613 features many of the benefits of fully-ruggedised tablets, without the additional expense. Drop, shock and vibration protection with options for built-in NFC/RFID scanners and extended hot-swappable batteries make it ideal for applications in less challenging environments requiring a larger display.